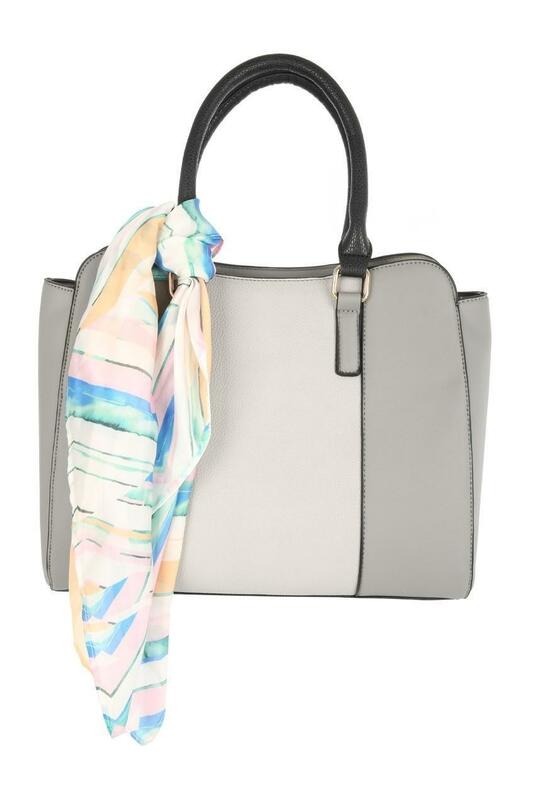 Add this stylish bag to your collection of fashion accessories. In a grey panelled design with a zip opening and a silky multicoloured scarf, it's perfect for day to day use. Width: 31cm Height: 26cm Depth: 14cm.